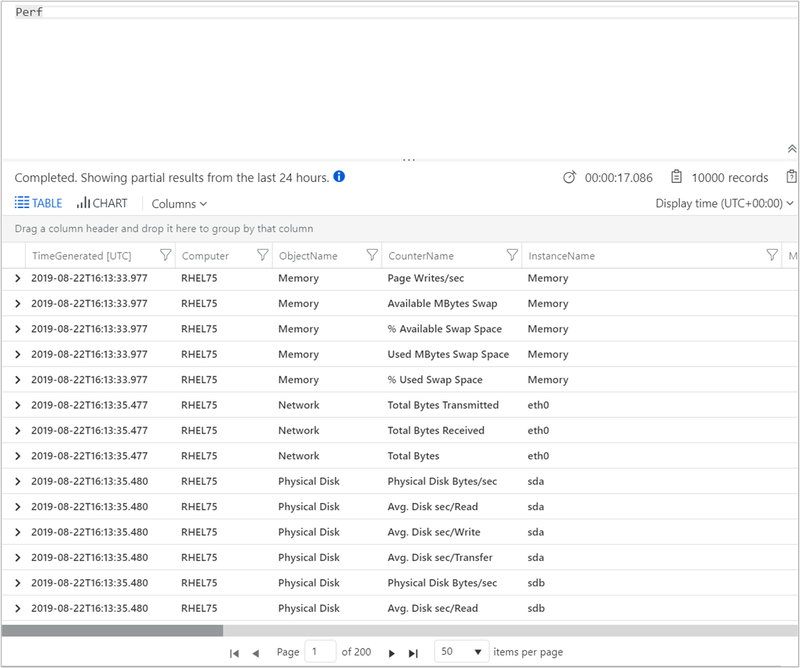 Azure Log Analytics can collect data directly from your physical or virtual Linux computer in your datacenter or other cloud environment into a single repository for detailed analysis and correlation. This quickstart shows you how to configure and collect data from your Linux computer with a few easy steps. For Azure Linux VMs, see the following topic Collect data about Azure Virtual Machines. To understand the supported configuration, review supported Linux operating systems and network firewall configuration. Provide a name for the new Log Analytics workspace, such as DefaultLAWorkspace. OMS workspaces are now referred to as Log Analytics workspaces. Select a Subscription to link to by selecting from the drop-down list if the default selected is not appropriate. 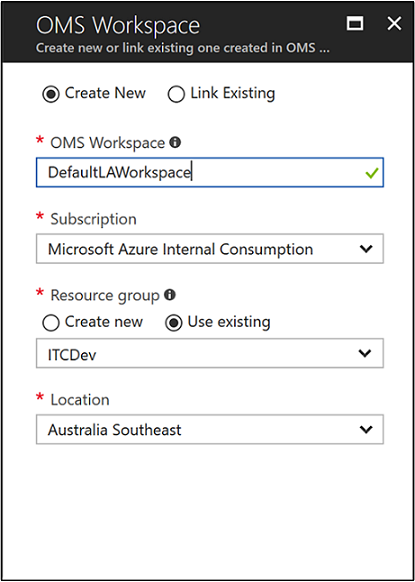 For Resource Group, select an existing resource group that contains one or more Azure virtual machines. Select the Location your VMs are deployed to. For additional information, see which regions Log Analytics is available in. If you are creating a workspace in a new subscription created after April 2, 2018, it will automatically use the Per GB pricing plan and the option to select a pricing tier will not be available. If you are creating a workspace for an existing subscription created before April 2, or to subscription that was tied to an existing EA enrollment, select your preferred pricing tier. For additional information about the particular tiers, see Log Analytics Pricing Details. After providing the required information on the Log Analytics workspace pane, click OK. While the information is verified and the workspace is created, you can track its progress under Notifications from the menu. Before installing the Log Analytics agent for Linux, you need the workspace ID and key for your Log Analytics workspace. This information is required by the agent wrapper script to properly configure the agent and ensure it can successfully communicate with Log Analytics. As part of the ongoing transition from Microsoft Operations Management Suite (OMS) to Azure Monitor, the OMS Agent for Windows or Linux will be referred to as the Log Analytics agent for Windows and Log Analytics agent for Linux. In your list of Log Analytics workspaces, select DefaultLAWorkspace created earlier. Select Connected Sources, and then select Linux Servers. The value to the right of Workspace ID and Primary Key. Copy and paste both into your favorite editor. The following steps configure setup of the agent for Log Analytics in Azure and Azure Government cloud. The Log Analytics agent for Linux cannot be configured to report to more than one Log Analytics workspace. If your Linux computer needs to communicate through a proxy server to Log Analytics, the proxy configuration can be specified on the command line by including -p [protocol://][user:password@]proxyhost[:port]. The proxyhost property accepts a fully qualified domain name or IP address of the proxy server. To configure the Linux computer to connect to Log Analytics, run the following command providing the workspace ID and primary key copied earlier. The following command downloads the agent, validates its checksum, and installs it. The following command includes the -p proxy parameter and example syntax. To configure the Linux computer to connect to Log Analytics in Azure Government cloud, run the following command providing the workspace ID and primary key copied earlier. The following command downloads the agent, validates its checksum, and installs it. Log Analytics can collect events from the Linux Syslog and performance counters that you specify for longer term analysis and reporting, and take action when a particular condition is detected. Follow these steps to configure collection of events from the Linux Syslog, and several common performance counters to start with. You add an event log by typing in the name of the log. Type Syslog and then click the plus sign +. In the table, uncheck the severities Info, Notice and Debug. Click Save at the top of the page to save the configuration. Select Linux Performance Data to enable collection of performance counters on a Linux computer. 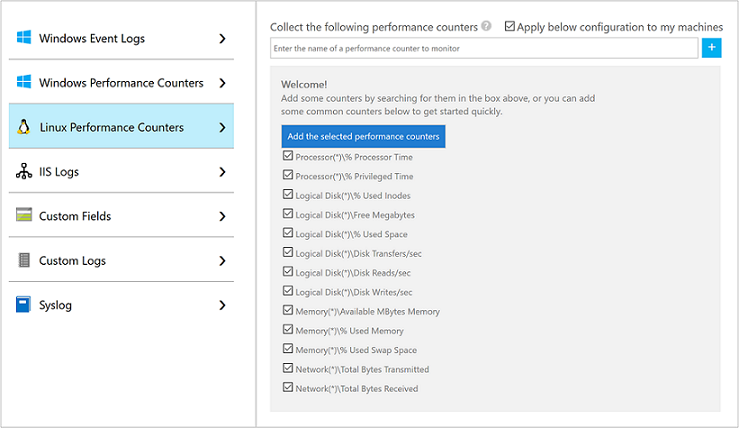 When you first configure Linux Performance counters for a new Log Analytics workspace, you are given the option to quickly create several common counters. They are listed with a checkbox next to each. Click Add the selected performance counters. They are added and preset with a ten second collection sample interval. Now that you have enabled data collection, lets run a simple log search example to see some data from the target computer. 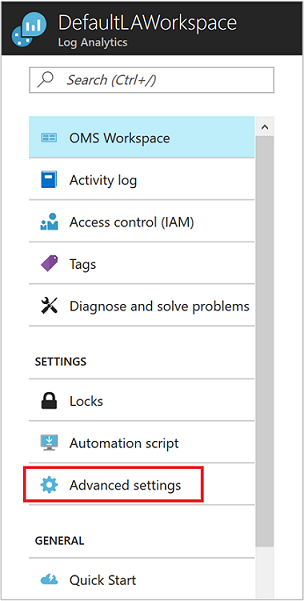 In the Azure portal, navigate to Log Analytics and select the workspace created earlier. Click the Log Search tile and on the Log Search pane, in the query field type Perf and then hit enter or click the search button to the right of the query field. For example, the query in the following image returned 735 Performance records. When no longer needed, you can remove the agent from the Linux computer and delete the Log Analytics workspace. To remove the agent, run the following command on the Linux computer. The --purge argument completely removes the agent and its configuration. To delete the workspace, select the Log Analytics workspace you created earlier and on the resource page click Delete. Now that you are collecting operational and performance data from your on-premises Linux computer, you can easily begin exploring, analyzing, and taking action on data that you collect for free. To learn how to view and analyze the data, continue to the tutorial.